Dang! Send the Video Editor a bonus check! This playback is so smooth! …without the technical difficulties which interrupt the flow of thought. On 9/18, Palmer Harsanyi says: Thanks for your talk in Copenhagen! Nice to have had the opportunity to shake hands with you and thank you for your giants amount of work, for the benefit of humanity…. …Your presentation yesterday on WW I @ the Open Mind Conference was for my person very mind expanding and with some typical señor James eye openers. It is always a pleasure for me when you voluntarily give us an insight of your knowledge and wisdom. When you señor James share the results of the interactions of your brain-cells with other senses of yours on what is happening in our world, this always leads for me to an euphoria in my brains and stimulates my common senses. When your person shares your thoughts with us, for my person it feels like having a seventh sense. Also how your answered the questions of the audience were brilliant with a typical señor James touch.. Yesterday my own brain cells were dancing Salsa and Bachata at once due to your excellent independent work señor James…. Russia’s Gazprom snagged the number 1 spot, ending U.S. oil and gas giant ExxonMobil’s 12-year reign at the top. An interesting tidbit about Oil Price Manipulation. I think The Qatar Investment Authority is Glencore’s biggest shareholder. First-ever visit of Saudi Monarch to Russia next month. Expected to deepen ties. I make a conscious effort of never allowing myself to be accused of being a brown noser… however… that was the greatest lecture I have ever experienced. ditto 🙂 though I’ve played a good brown-noser at times, with the best intentions! Fantastic James, so appreciate your work and dedication, it’s truly inspiring to “know” you! I wonder, what do you think about the notion that we’ve been in WWIII since 9/11? At least as important as comparing GDP charts is comparing national debt charts. The USA is currently in so much debt that even printing currency has a near neutral effect on GDP. How did it look in britain before WWI? The connection with the debt-based currency scam is relevant to both empires. The Boer wars with their military ineffectiveness, devolving into inhumanity, corroded public faith in the British aristocracy. And the colonies of empire that sent their military forces to South Africa were then to bring the message back home with their own troops. The Boer imbroglios also haemorrhaged British Imperial finance, although the usual suspects made fortunes from the manufacture and sale of war materiél. The dire state of the economy was as much a factor as the industrial and capital ship challenges from Germany in deciding in a British course of action that led to the Great War. 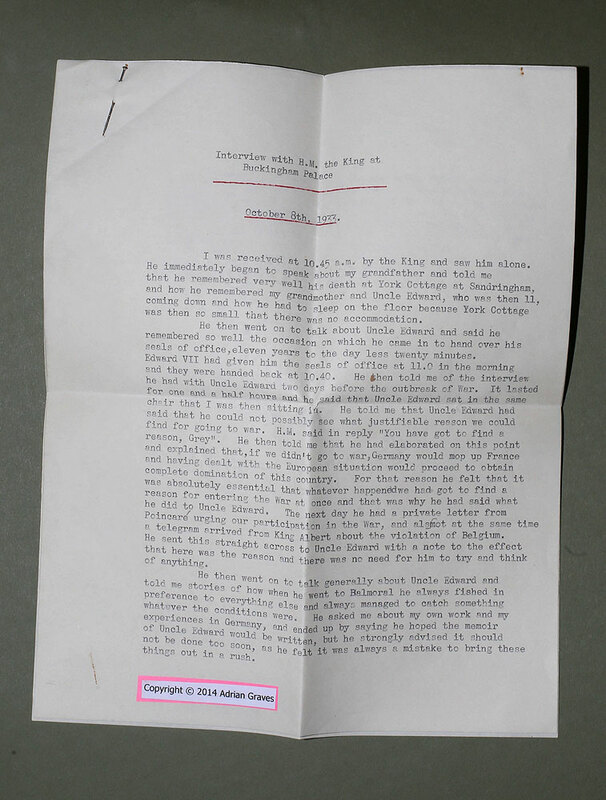 Fairly recently, the grandson of British foreign secretary Edward Grey publicized a copy of a letter his grandfather had received from King George V imploring him to make Belgian neutrality a causus belli with Germany. I don’t think the grandson understood the implications of this letter, because he was so proud that his grandfather had been personally contacted by the king. European royalties and their aristocratic entourages were neck-deep in machinations for war, most likely because they still had glorious visions of what war entailed and felt a personal power in their ability to shape world events. Wealth and power can bring about their own undoing without any other aids. My memory didn’t serve me too well about the details of the “letter”. I should have gone back to the source to check the details before posting (which I usually do). What I was referring to was actually a memorandum of British Foreign Minister Sir Edward Grey’s personal meeting with King George V on August 2, 1914. And it was composed by Grey’s nephew, Sir Cecil Graves, in 1933 after a meeting with the elderly George V. It was discovered in the archives by Graves’ grandson, Adrian Graves, who had inherited Sir Cecil’s papers. No doubt the US has become full on fascist as it seeks ways to retain its dollar hegemony, but do some of you actually believe there will be a “Great War” between the US and China? Need I remind some of you that the US could barely handle Iraq in 2003-2017+. Iraq, a country that was first weakened by the Iranians during their war in the 80’s, then left decimated by a coalition of nations after the first Gulf war in 1991, incapacitated following a decade of heavy sanctions and sporadic bombings during the 90’s, and some of you believe the US is equipped to take on China mono e mono? The US was only able to get a few NATO countries to follow them in Afghanistan after 9/11 (most of them left after a few years), and the only other significant NATO power that was foolish enough to follow the US into Iraq were the British. I mean, even during the cold war, the US wasn’t crazy enough to take on the Chinese and/or the Russians directly. Instead they resorted to proxy wars in Vietnam, Afghanistan and other smaller skirmishes around the world. I may be wrong, but I believe the next decade or so will be bring about more of the same type of proxy wars like they had during the cold war. If there is ever a “Great War” between the US and China, then the US is gonna have to find a way to get England, the EU, Japan and a bunch of countries to form an alliance prior to, a sort of Triple Entente v2.0., and that ain’t about to happen with Trump at the helm, in fact I’d say the little US fascists are busy fomenting hatred in Germany right now in order to weaken Merkel. Bravo, James, bravo. That was a tour de force that touched upon so many points that I myself have come to understand. From the audience reaction, it would seem that there are many, many other people that also see the world for what it is. Still, to drive the points home requires incessant repetition. After all, this was the modus operandi that got western society into its insouciance and myopic world view. History does repeat itself. The graphs and charts are what gives Carrol Quigley’s book Tragedy and Hope such an appealing draw to the mind numming facts.300 pages cover the multitude of treaties and compacts that if the general populace new of would have stopped any envolement in support for any war. I don’t know if Americans are so keen on King and country as the Queens subjects are but we are equally susceptible to other forms of propaganda tailored for our unique attatuides. Public schools are just gateways to millitary service and at the same time millitary service offer’s a gateway to education. However for most, the contract young people sign doesn’t turn out to be the contract delivered. James comes thur brilliantly in the end and can only wish it could penetrate the patriotic brainwashing that blinds most around Joklahoma to that history ,of mind numming facts, that would keep a normal, sane person from supporting another war. WW-III. Until then we can fill the comment section with all the possible reasons why no mention at all of the real culprits exists. There is the 3 hundred pound gorilla in the room. I hope the listeners can appreciate the clever and articulate way you danced around the topic without steping on the gorrillas toes. 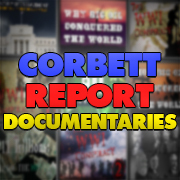 Corbett shows some tea leaves at the 13:47 mark of Echoes of WWI: China, the US, and the Next “Great” War . I believe that the “American Dominance Neocon-type Agenda” faction will not stand by silent when it comes to dominating “resource” and “trade”. On the flip side, we live in an era where Big Boys chase the buck and to heck with any national allegiance. My dear Texifino friend , you have made A very good observation however , the big boys are given access to the crumbs that the bigger boys( who are invisible to the rest of us) then trickle down crumbs to our level. The Rockefeller men don’t want to be seen, heard, or will they tolerate being made public. We can track their movements after the fact with graphs and news headlines but generally as you say “big boys chase the bucks and to heck with… ” everything except being invited to the Rockefeller mans table. An inlaw Im aware of, works for Winthopes Rockefeller foundation and works tireless (60hrs) week cataloging every speck of the High- resolution satellite pictures of his sectors that he manages . He must go and confirm vast mineral inventories, so he travels alot. He is so brainwashed there is no reaching him, he thinks it good sustainable ,healthy work for the planet ,mother nature needs help, like his, to survive. I ask him who shares this info? He said the men in the governments that are Rockefeller men with the same desire to protect the earth as his boss. Now tell me what happens to miners and peasants who claim the land you are in charge of from 7 miles up? This question made him so uncomfortable he couldn’t’t respond. Now Im not invited to Christmas anymore. So the point i would like to make is we are the Rockefeller mans biggest fear. Should we use the law to right the ship of state like they did to gain control? That would make us no better than themselves. The standing by crowd you mentioned need us, however the Rockefeller men really don’t need the big boys until we start acting in our own interests. What to do? I think Im going to not show up for the next Rockefeller man war if posible and keep spreading the word about who is doing the inventories and who gets access to those inventories. Bless T.C.U. THIS weekend. That is a very interesting “Rockefeller” tidbit. Thanks for sharing. I think you are square on. I found most interesting that tidbit about how unadorned males supporting the war effort by other means than dying in the trenches and having their eyeballs eaten by huge rats were issued badges as to prevent being marked or shamed as cowards. I knew of the white feather thing and that’s one of those bits of information that really sticks and one has to ponder over it for a while. The badge tidbit makes the entire deal that much more ridiculous. That kind of social pressure mush have been beyond comprehensible. last year I read an interesting scenario of a conflict US/China. => “Twilight’s Last Gleaming” by John Michael Greer. Very good read, well thought through and researched. It starts with Africa as you also suggested. Finally got around to watching this one. Worth the wait! As for the Battle of Copenhagen, I am one of those who had been completely ignorant of that one. And here I sit with my state approved MLA in history. Shame, shame, shame. Of course, having just gotten out of the military, I had made it a point to study as little war as possible. While I’m sure no one knows what this war will look like, I’m pretty sure it will be far worse than we can imagine. Of course, if it does happen, then the eradication of our species would be a good thing that would be well-deserved. We should know better by now. There is no excuse anymore. When you get down to the brass tacks of it all; it isn’t the fault of our so-called leaders. It’s our fault. We pay attention to them and do as they ask. It makes as much sense as obeying the crazy guy yelling at the demons in the street, but hey; we are so smart aren’t we? Could this be an aspect to the “Next Great War”? We are seeing this joint faction of U.S., Israel, Saudi Arabia, etc. nations aggressively asserting control. Could Trump actually had been “a silent part” of the anti-Russia PsyOp Campaign? It really would be a beautifully designed PsyOp. You feed it to the Liberal media who take the bait. Trump, all along knows it is a ruse and doesn’t mind the heat. It helps to fulfill the Big Agenda. But regardless of whether or not Trump was a part of the anti-Russia PsyOp, probably doesn’t matter. The anti-Russia PsyOp helps to move the ball down the field. 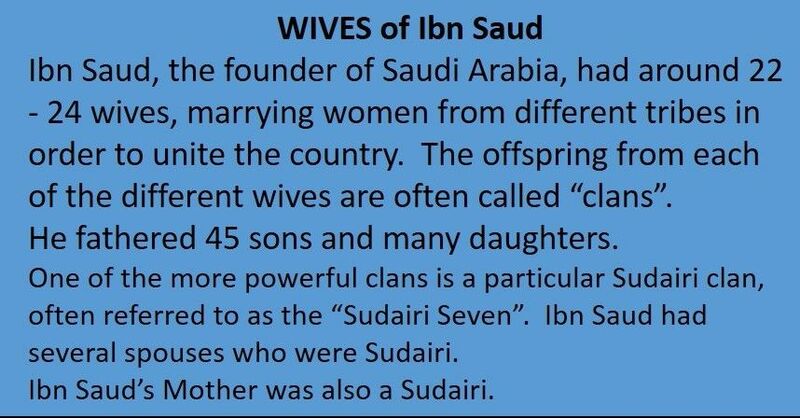 In the early 20th century, Ibn Saud, the founder of Saudi Arabia, took wives from the many tribal factions and also formed an alliance with the Islamic ultra-conservative Sunni sect known as Wahhabism. 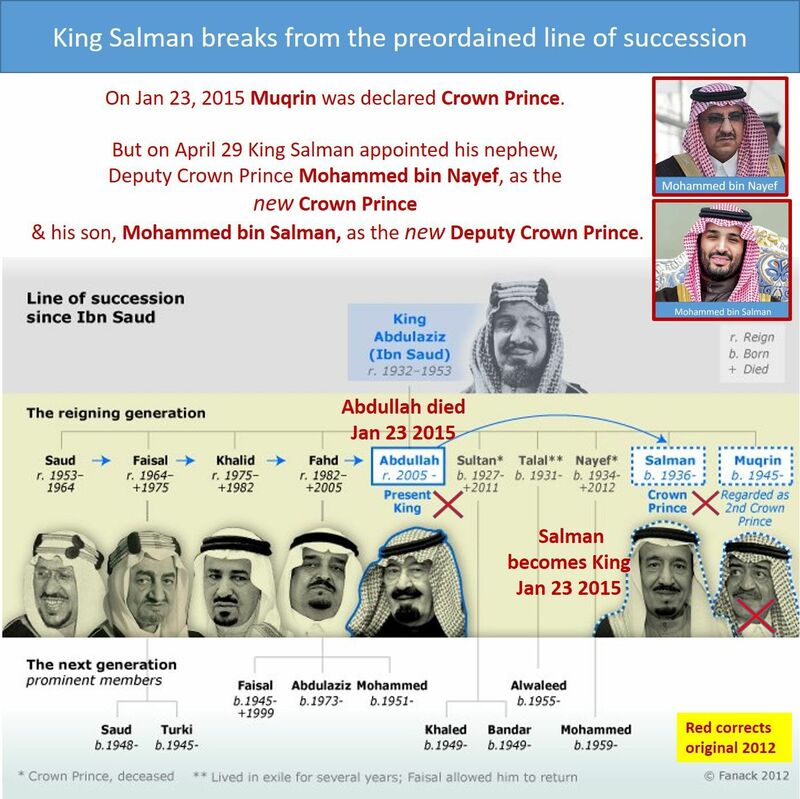 This provided Ibn Saud with a more unified, stable control of the region. 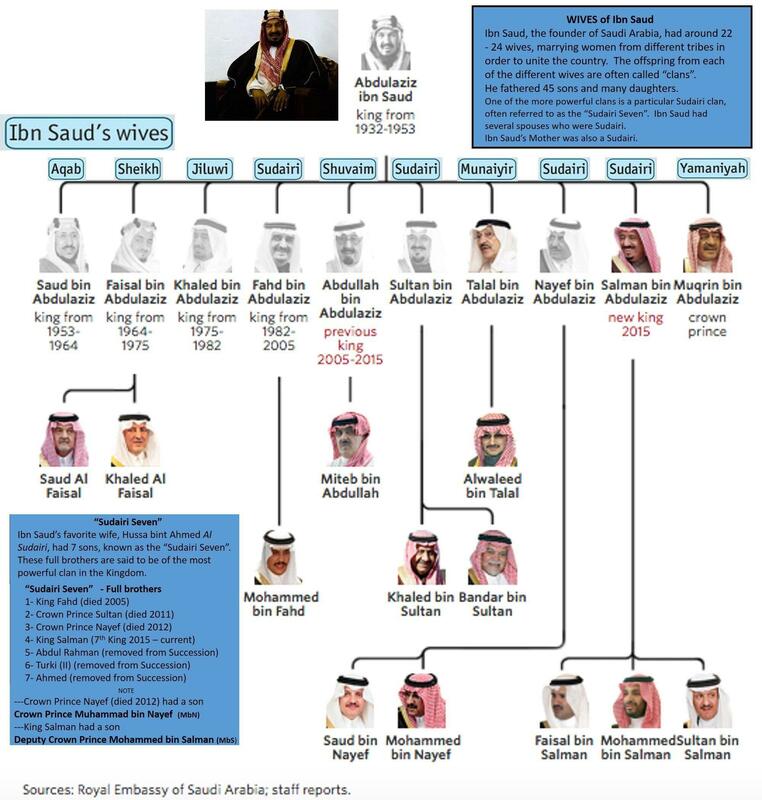 He fathered many children, including 45 sons, some of whom later took the throne as part of the Royal Family’s “House of Saud”. Here is the rub. Many of the high ranking government positions are given to members of the Royal Family. 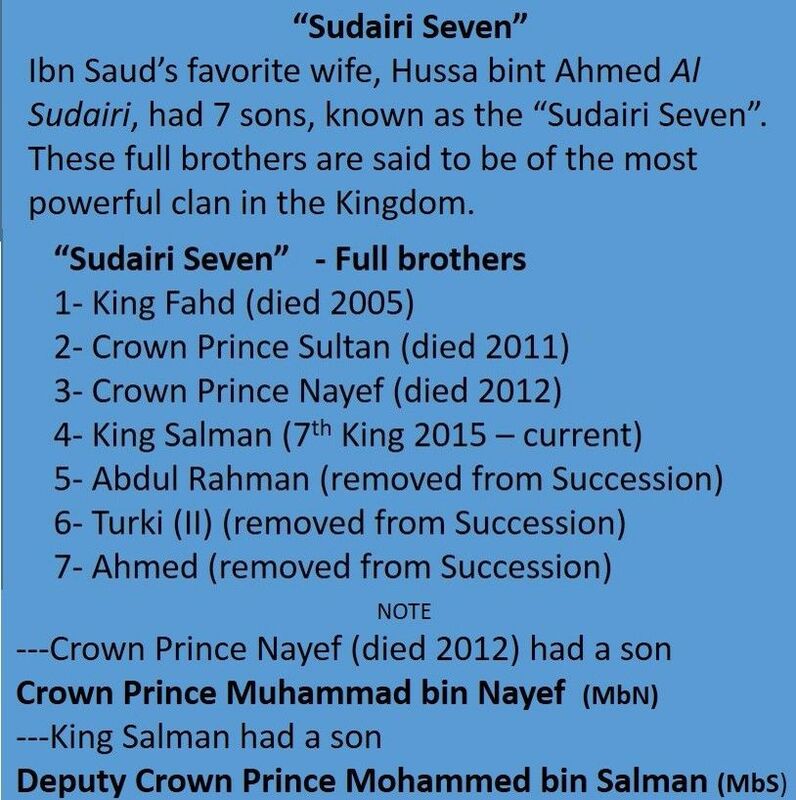 There are a lot of “power plays” in vying for these positions, because holding them helps to ensure power for a particular faction of the family tree. 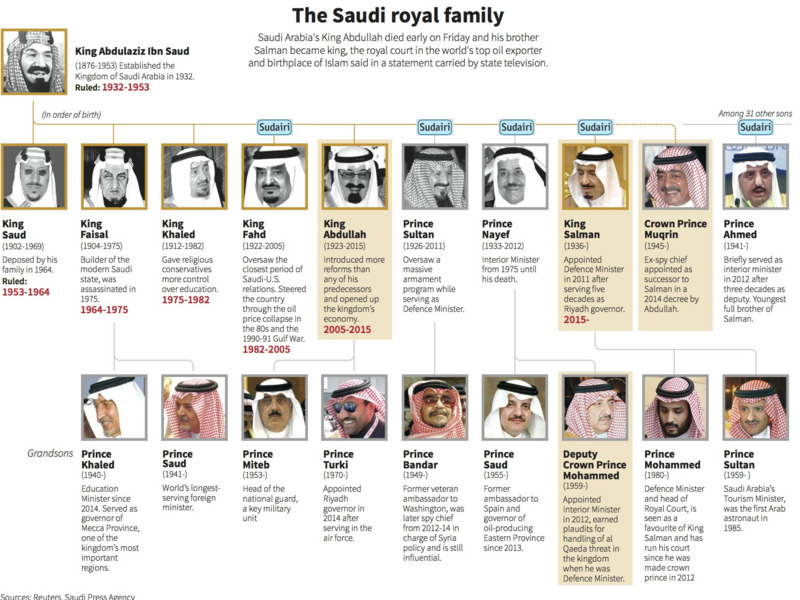 Another internal Saudi contender of the power struggle is the Wahhabism religious faction. 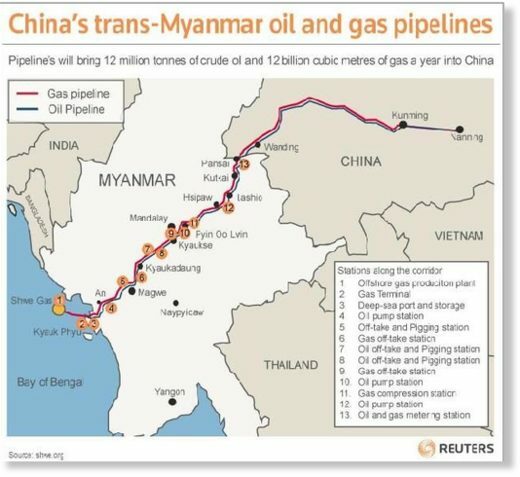 …The most interesting part of the affair, however, is the alleged participation of CEFC, the rising star of the Chinese—and international—energy scene. CEFC is widely seen as a kind of mysterious company that has close ties to the Chinese government and plays a key part in President Xi Jinping’s Belt and Road international expansion plan, according to observers. The company recently invested US$9.1 billion in a stake in Rosneft and it has also spent heavily on oils storage capacity and transport infrastructure at home. While the company is private, it is said it is run like a state entity, reinforcing the suggestion that it has a strong Communist Party back to support it…. …OPEC and its non-OPEC partners in the production cut deal are scheduled to meet in Vienna on November 30 to discuss the extension of their pact. While just a month ago a nine-month extension to the end of 2018 was the base case of all analysts, now there are growing voices that OPEC may delay the decision to early next year…. …First, the lower the oil prices, the less motivated U.S. shale producers would be to expand their own production. Like OPEC, Russia sees U.S. shale boomers as the main threat to its reign in the global oil world. Second, the Russian economy benefits from a weaker ruble, and lower oil prices mean a weaker ruble. Third, the Russian economy has shown strong resilience to the oil price crash. This resilience has surprised those unfamiliar with recent history, but it is one more reason for the world’s current number-one oil producer to have second thoughts about a nine-month extension of the oil production cuts. Russia is the producer everyone is watching ahead of the OPEC meeting. It may very well sign up for the nine-month extension but if it does, it will very likely do it on its own terms—and Saudi Arabia and the rest of OPEC might need to brace for these terms, whatever they may be, whether economic or geopolitical. 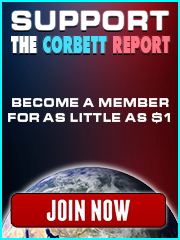 Just to be clear, my “refuse to fight” is no mockery of Corbett’s powerful, beautiful speech! “Göring: Why, of course, the people don’t want war. Why would some poor slob on a farm want to risk his life in a war when the best that he can get out of it is to come back to his farm in one piece? Naturally, the common people don’t want war; neither in Russia nor in England nor in America, nor for that matter in Germany. That is understood. But, after all, it is the leaders of the country who determine the policy and it is always a simple matter to drag the people along, whether it is a democracy or a fascist dictatorship or a Parliament or a Communist dictatorship. The power of conditioning from a young age is strong. After years of having to pledge allegiance to the flag when you are a child, and the entire culture of America that is based around the flag and honoring the soldiers, it is hard to mentally and emotionally break away from. People feel that they are obligated to fight because it is honorable and noble. Just like people who have severe emotional trauma need intense therapy to overcome the emotional damage, so too do people need a form of therapy to overcome the perpetual trauma that mainstream America delivers. The therapy in this case is education of what’s actually going on in this world. …Russia last year became China’s biggest oil supplier… …At the same time, Saudi imports fell by 7.8 percent in November, to 1.056 million bpd… … But Russia is not the only one eating Saudi Arabia’s market share in the world’s top importer: the U.S. has been exporting crude at unprecedented rates. Last year, the average U.S. oil shipments to China stood at 180,000 bpd for January to September alone.